US equity indexes settled moderately weak, sp -19pts at 2853. The two leaders - Trans/R2K, settled -0.1% and -0.6% respectively. 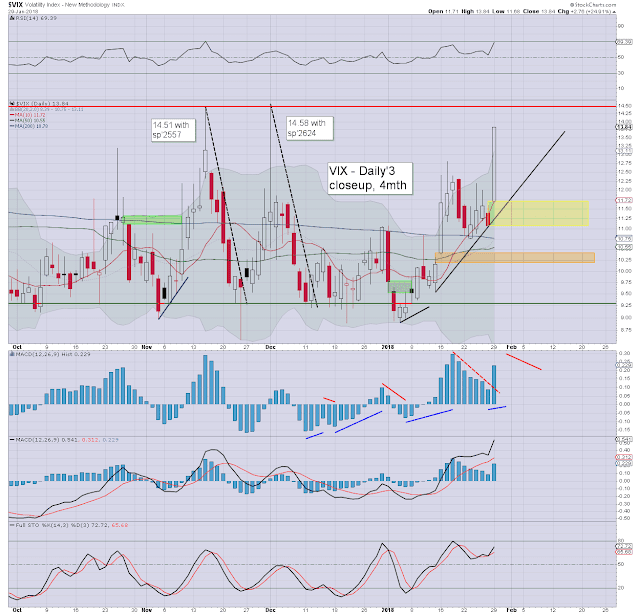 VIX settled +24.9% at 13.84. 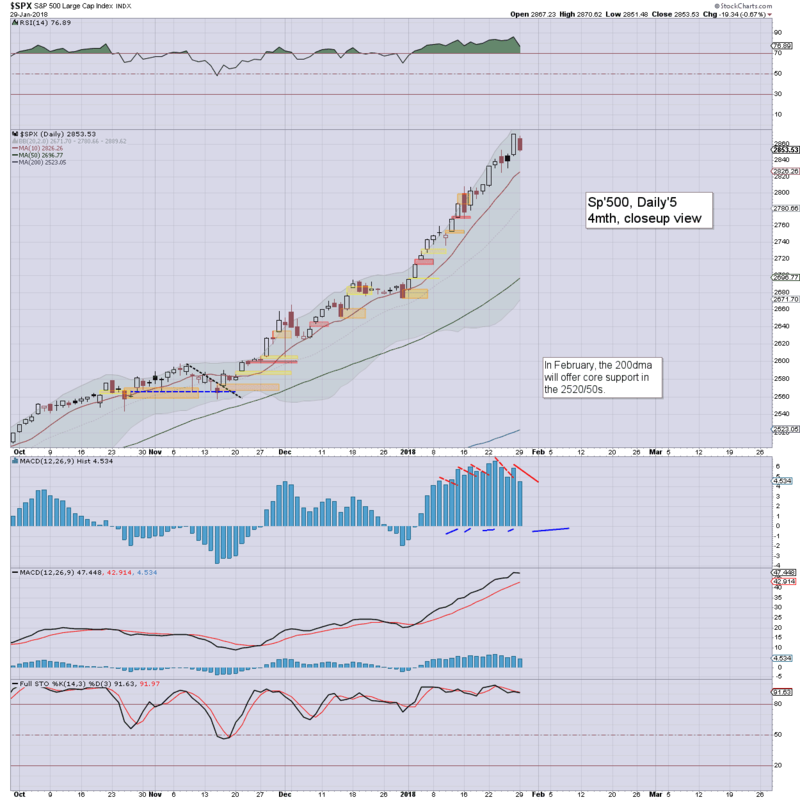 Near term outlook threatens a further little weakness to 2849/39, but then resuming upward into end month, on SOTU talk about an infrastructure bill. US equities opened a little weak, saw a floor around the typical 11am turn time, with a little wave higher into the early afternoon. There was renewed weakness into the close, but again... nothing of any significance. 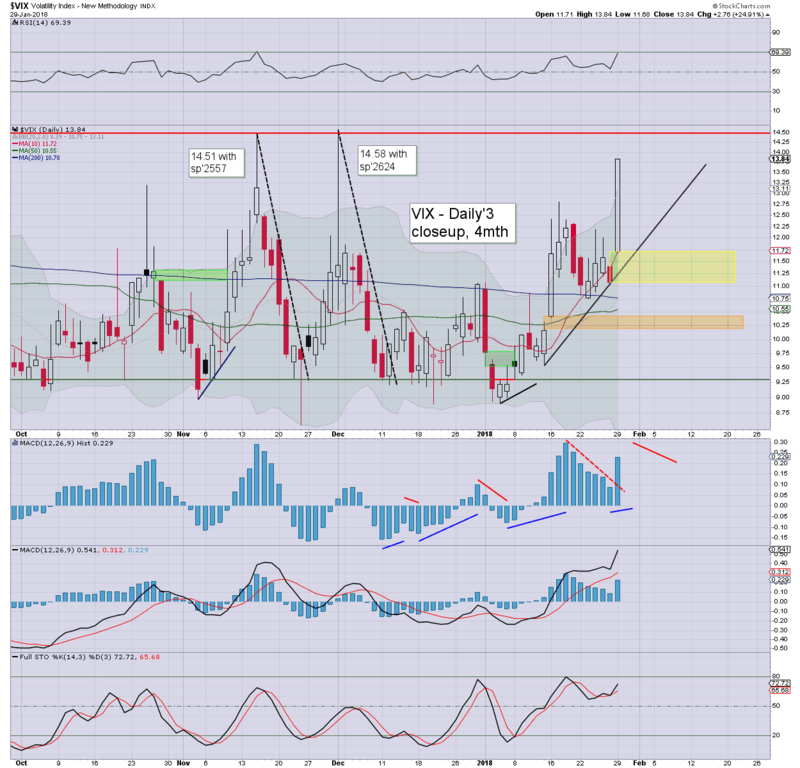 With weak equities, the VIX gained a rather powerful 24.9% to the upper 13s, and we've not seen the teens since Dec'1st. It be can be argued that we're seeing particular strength in the VIX because of the amount of earnings and econ-data due this week... ohh, and an FOMC too! To be clear, a day of moderate weakness after Friday's historic highs, does absolutely nothing to dent the m/t hyper bullish trend. The sp'2900s are absolutely viable into end month.